A little something for my big bro's birthday. Last year I asked him what Star Wars character he'd like me to draw. But I wasn't able to do an action pose. Now... well. It's still stiff and wonky... but I needed to rush it to be finished today (which shouldn't be an excuse, I know). I used 3 pretty cool refs to sketch and in the end constructed this one from none of them u_u. Will post the sketch page with the refs and such later. 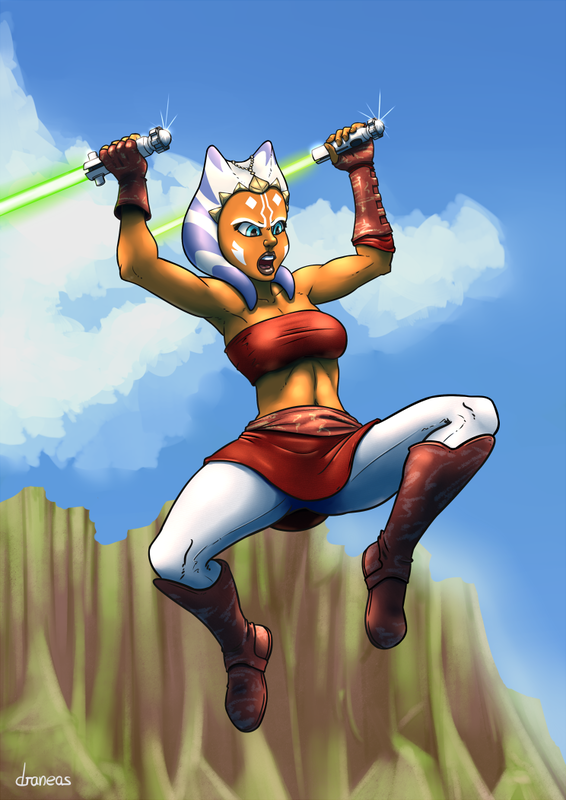 We could always use more ahsoka.